Your guests are sure not to miss your special day with these destination save the date cards from Invitations by Dawn. 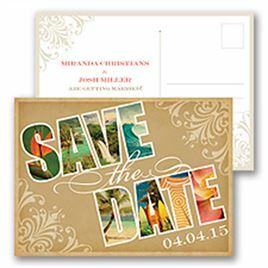 Complement your save the date cards with destination wedding invitations in many styles and themes. Make sure your wedding ceremony is special with the lighting of unity candles and a ring bearer pillow. And don't forget champagne flutes, for the celebration afterward. 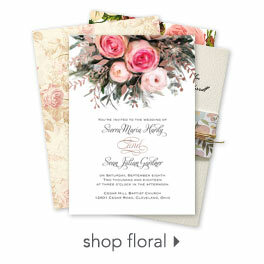 Shop Invitations by Dawn for all your wedding needs.